Southport Women's Healthcare (Southport) - Book Appointment Online! Southport Women's Healthcare specilizes in Gynecology and offers professional health care services from our licensed doctors and staff providing you with the highest level of quality care. Our dedication is to bring you the best health care services available. Southport Women's Healthcare offers a wide range of gynecological services. Our services offered cover concerns on gynecology, menopause, continence care, nutritional counseling, initial infertility assessment, bone density studies, as well as consultations on colonoscopies, contraception, family planning, premenstrual syndrome counseling and care, midlife counseling and care, and much more. We have the latest facilities and technology to handle almost any form of gynecological services. 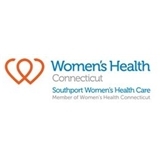 With our expert personnel, resources, and facilities, Southport Women's Healthcare can provide the best in specialized care for women.